For Chinese New Year my sister told me that new years rabbits should be wild and not cute bunnies but since I don’t have any real Chinese new rabbit stamps this will have to do since its Penny Black Saturday (sketch below) and Daring card makers have a new years rabbit challenge . 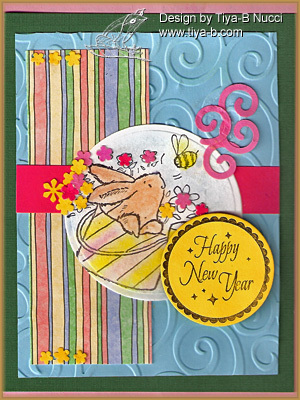 Here is a Penny Black bunny stamp and a JustRite happy new year stamp. 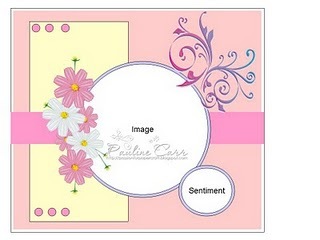 I punched & pasted the flowers and swirls, chalked the rabbit added a cuttlebuged blue background.